Our Savi, Savii, Sandy, Savy, Sabby, Saphir. Can you believe it has almost been 365 days since this magic took place in front of our eyes? Around my birthday I said that, "watching someone else achieve a dream that you share is heartbreaking, and one of the most uplifting experiences you might ever have." It remains true that the moment in my life when I felt wholly selfless is when I felt myself turn over my dream and say, yes, this is for you. Just let me sit here any watch it unfold. And I still want to talk about how only a true Miss America could illicit that in someone. Last year, as we all know by now, was a doozy. A blessing, a challenge, a magic-filled doozy. I gave a lot, and I gave it often. There were many days and weeks where I felt as though I was giving my time and my energy as selflessly as I could. But many times I came back to the fact that as hard as I was working, and as much as I was giving, there was one girl out there that was beating us all to the punch; our Miss America. Not to say that we didn't all work our dang butts off as Miss States. We did, we so did. Did I want to be Miss America? Hell freakin' yes. Did I think my name should have been called into that top 15? Better believe it. Do I think there was any better woman suited for the job of Miss America this year than Savvy? I know that she was picked for this. I knew, that night, that she was picked for this. And I feel so honored that she has been the voice for our class this year. That she is the face that our country saw as "The Miss America Organization" this year. Because truly, she radiates kindness and with that, she leaves people with a truer understanding of who we are within this program. Savvy helped people across the country understand that the collective we of this class is driven, educated, passionate, charitable, humble, funny, and so so loving. I had the chance to do that all over Vermont. I had the opportunity to make our brand of kindness known all over the state. And dang if that is not one of the biggest blessings of my lifetime. But let me tell you, there were no red carpets, there were no nationally televised interviews, and there was no jetting across the country. That's why we have Savvy. To say, this is what it looks like to serve in hospitals all over the country. This is what it looks like to live a platform day to day. This is what it means to inspire girls, young girls, from state to state. This is what it means to be dedicated above all else. And that's what I needed out of Miss America. 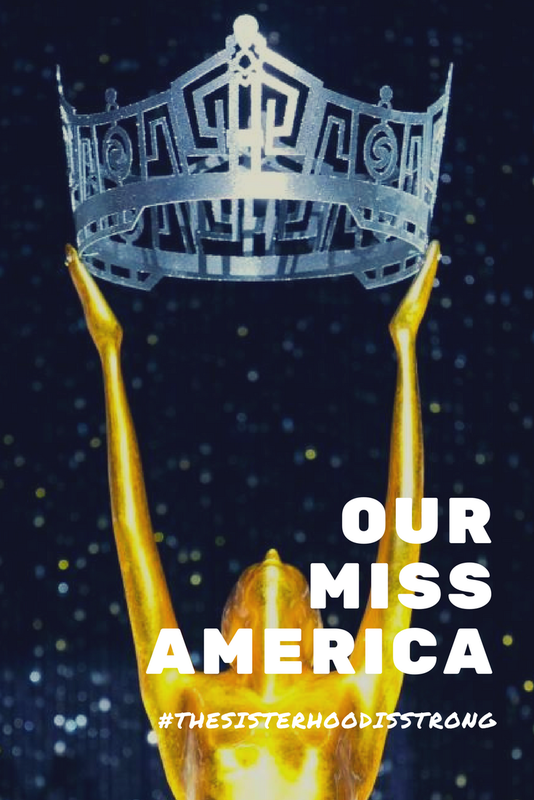 As a state titleholder, as someone who let go of her biggest dream on September 11th, I needed a Miss America that made my heart swell with pride. I needed the girl that is living my dream to be the best dang Miss America ever. Because there were young girls, community members, and Miss Vermont hopefuls that wanted to know about our Miss America. They wanted to know about this infamous-grinning-girl, Savvy. And I knew, even when I was boarding that plane to Atlantic City last August, that I needed whoever left the stage with a crown, to be a girl I was proud to know. That's our girl. That's Savvy. While I anticipate that exactly zero of the current state titleholders will be reading this, I want to say, to those of you that are still working towards your state crown: true kindness takes the cake. Every time. No matter what you've lost, or what you're fighting, or why things are hard, your kindness will win out. Your choice to be the nicest person in the room. To make an honest effort to know people. To spread true joy when you go anywhere. It all matters. It all absolutely matters. I learned that in the first few weeks after deciding to compete one last time. It occurred to me that if I wanted anything out of my last dance with the program, it was to share who I was, and just be kind while doing it. Thankfully, our Miss America solidified that. I maintain that the best titleholder you can be, is just yourself. You only need to be exactly who are, and be willing to use that to serve others, make the impact of a state, or national, titleholder. See, Savvy makes our class so proud because she's exactly herself, and wholly representative of what the heart of Miss America is, at the same exact time. I know this season can be hard, especially if you're watching someone else live out your dream. But I hope that you still believe your time is coming. If your heart is in the game, your time is coming. And though the dream is someone else's right now, knowing that it is for her and that you are better served supporting her, cheering her on, and YAS KWEENing her from the sidelines - as freakin hard as that is - it makes you better.